Market Deeping all-rounder Nick Andrews has been selected to skipper England Over 60s. Andrews will captain his country in one game on a tour of Barbados in February and there is every chance he will be invited to lead England in an Ashes Test against Australia in the summer. England tend to select different captains for each Test match and it’s likely Andrews will get the nod for one of them. “I’m absolutely delighted,” Andrews, who lives in Werrington, stated. Andrews has already won two England Over 60s caps. He played against the Australians in 2012 and against Scotland last summer. England are playing two one-day internationals in Barbados. 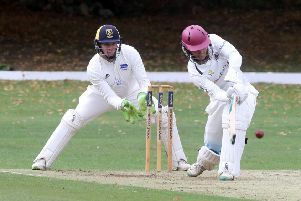 Andrews is a former Peterborough Town player and still plays regular competitive club cricket for Market Deeping second XI in South Lincs League Division One.